Do any Euro Renagdes come with a split flat/aspherical D/S mirror? It's so cold in Europe, no one is willing to go and take look at their driver's side mirror. If I remember well, mine is split only on the driver's side (left side mirror). I will try to take a pic if you like. Since the mid-'90's aspherical (split) driver's side mirrors have been common in Europe. The passenger side mirror may be spherical, just like in the US. In the US, there has been an effort to make aspherical (split) driver's side mirrors legal, but so far no joy. Regulations take here years and years too change. See sealed beam fiasco. Regulations didn't keep me from putting such an aspherical mirror on my Audi and drive around with it for 18 years. Strangely enough, it is legal to attach a small aspherical mirror to the flat driver side mirror, which is in my opinion not a good idea. Anyway, if you could take and post a picture that would be great! I have the split drivers side mirror. The difference on each side is quite small though. 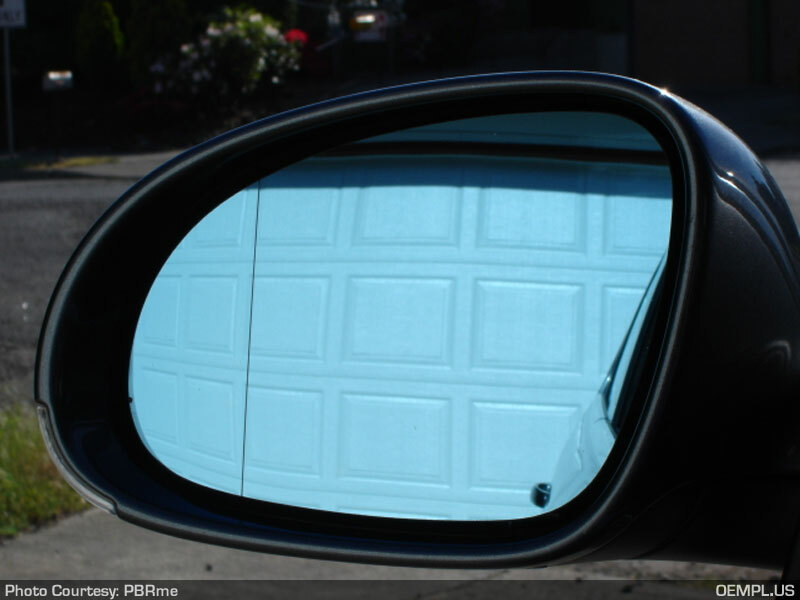 After having used a split mirror for the past 18 years, I would not go back to a flat driver's side mirror. Those few extra agrees FOV really help in my opinion. Adding an aspherical driver's side mirror would be my first mod. I think I'm going to have to order one for mine. Off to find the Jeep Europe parts site! Thanks a bunch! As I said, this will be my first mod. Do you know someone who supplies them in the US?